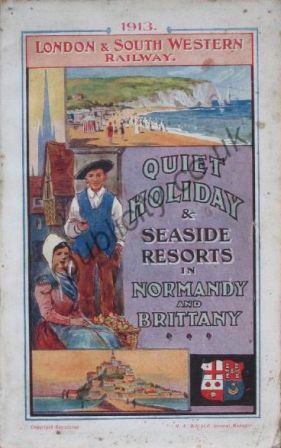 With many ferry routes to the Normandy and Brittany coast of France the Southern Railway, and the London and South Western previously, publicised the area strongly. 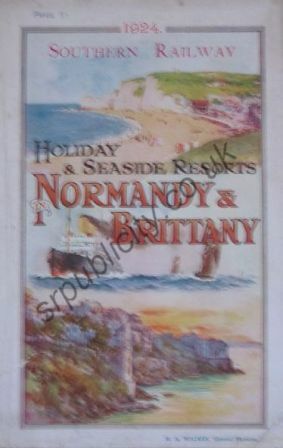 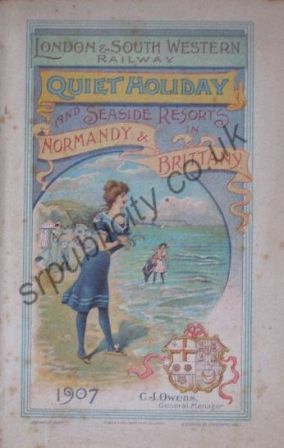 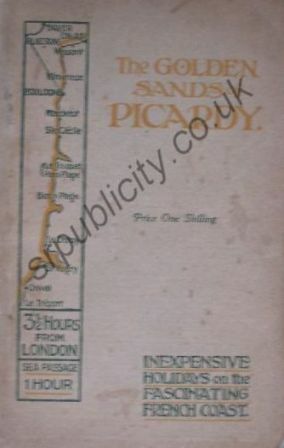 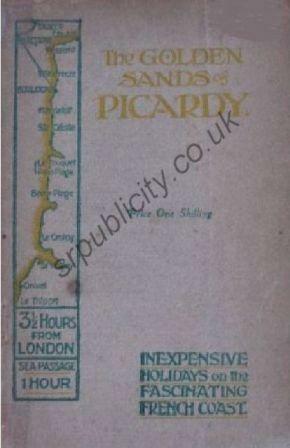 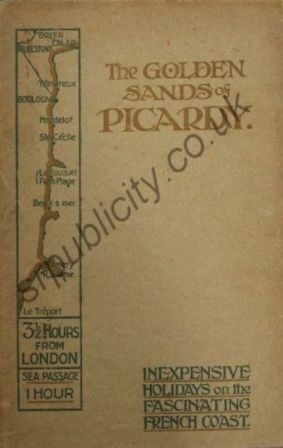 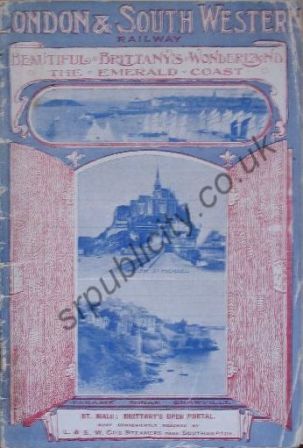 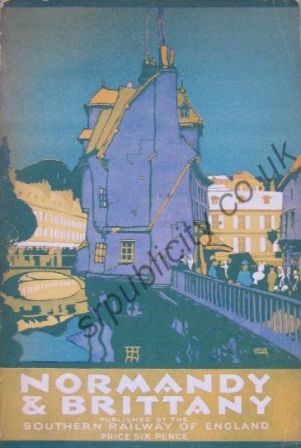 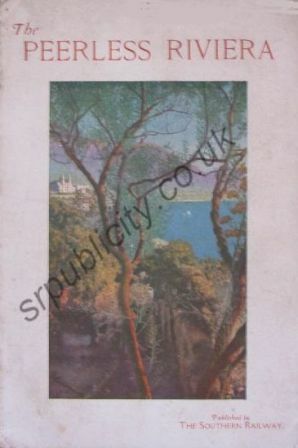 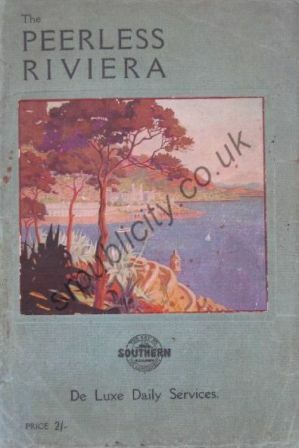 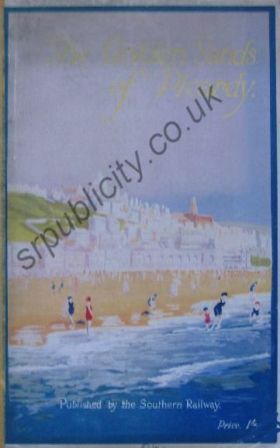 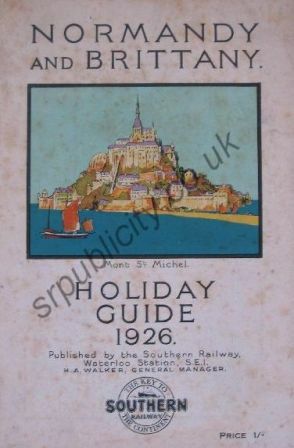 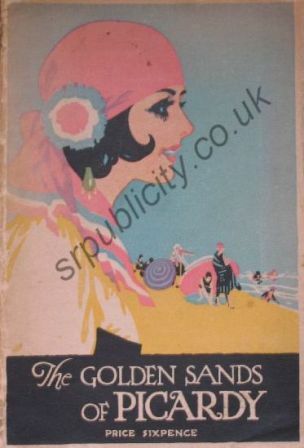 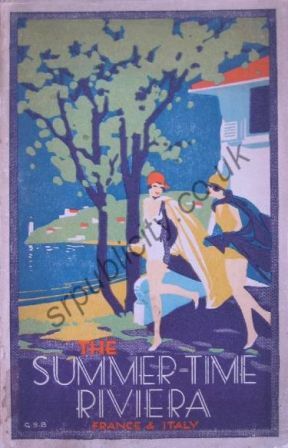 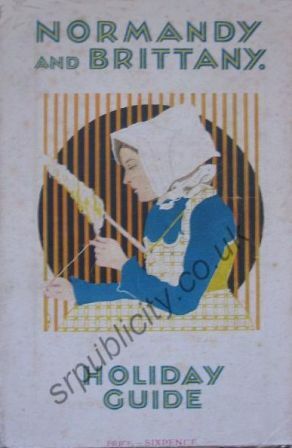 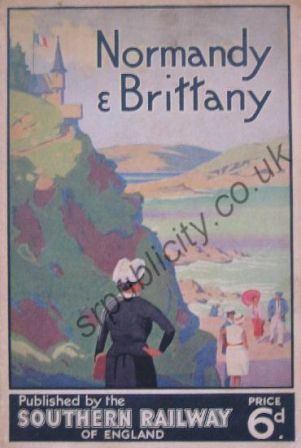 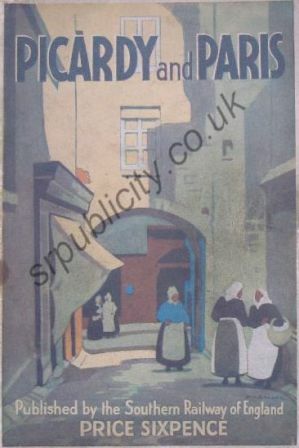 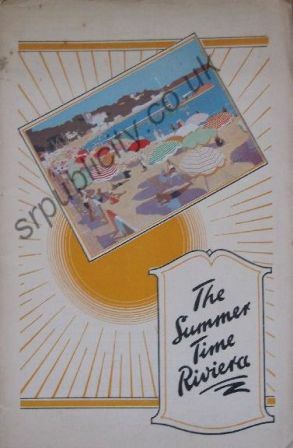 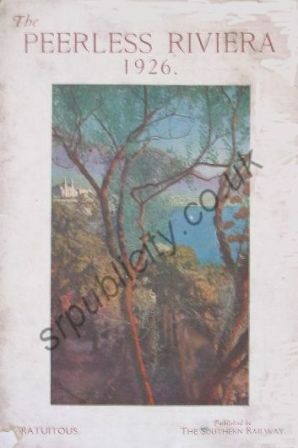 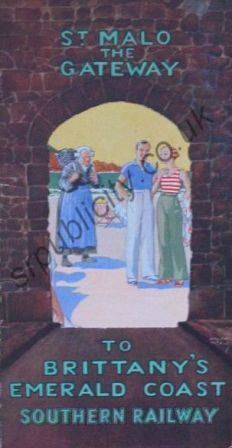 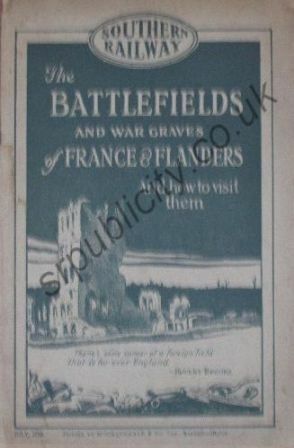 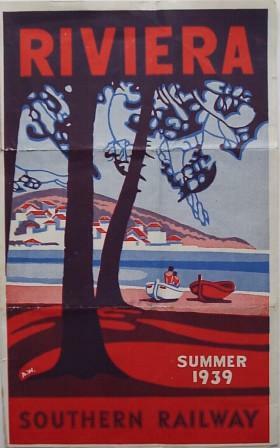 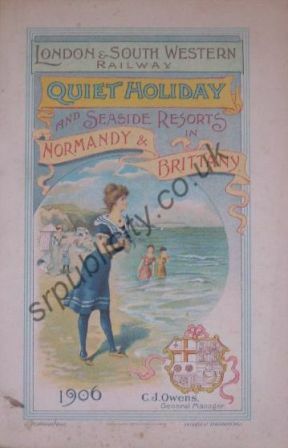 The London and South Western Railway had published this title from at least 1906 as Quiet Holiday and Seaside Resorts in Normandy and Brittany and the Southern Railway title is often advertised as Holiday Resorts in Normandy and Brittany or Holiday Seaside Resorts in Normandy and Brittany. 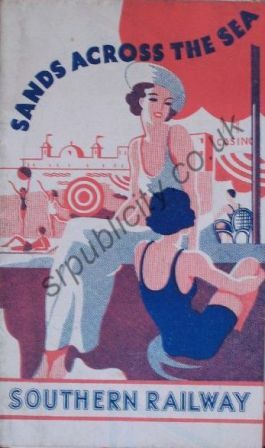 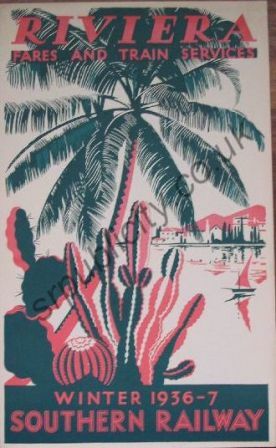 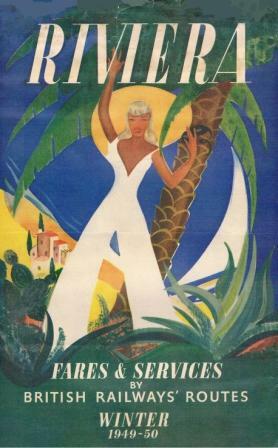 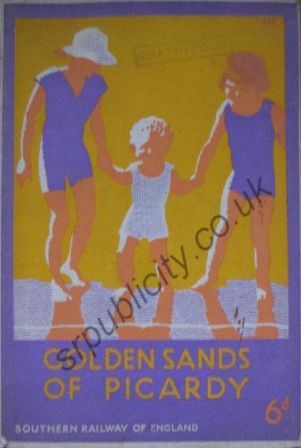 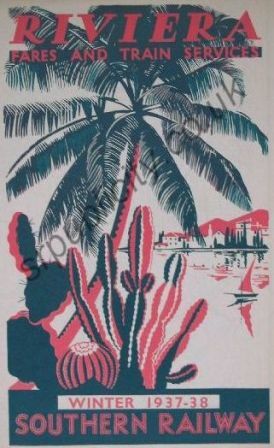 From 1938 the title was incorporated into Sands Across the Sea. 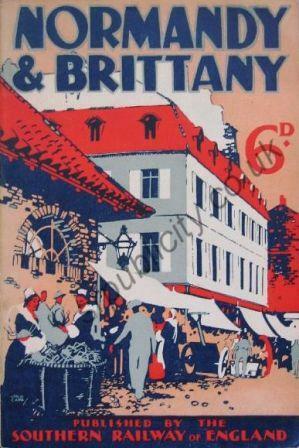 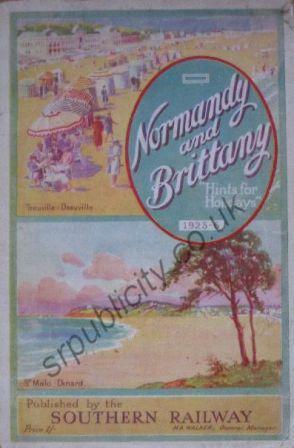 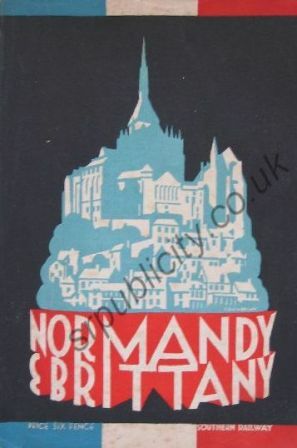 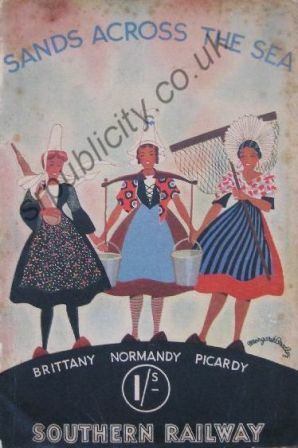 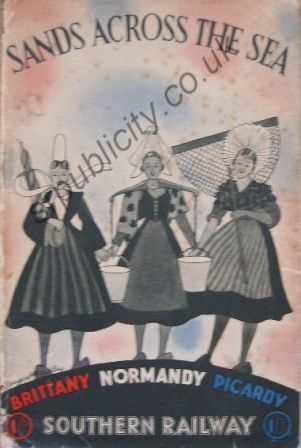 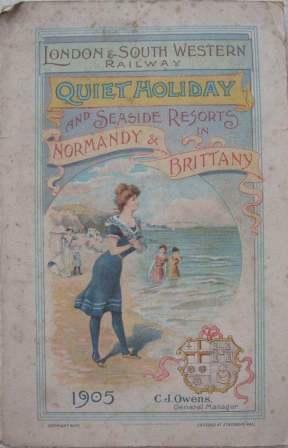 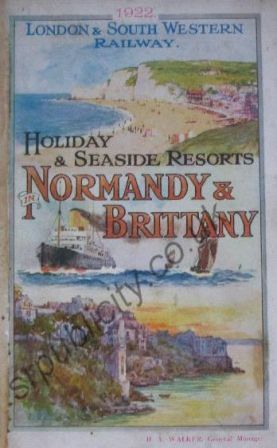 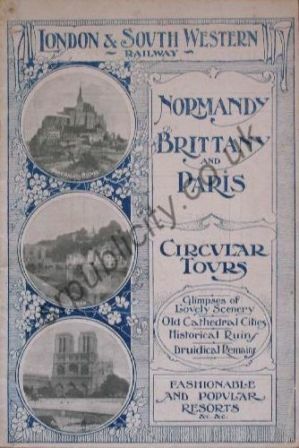 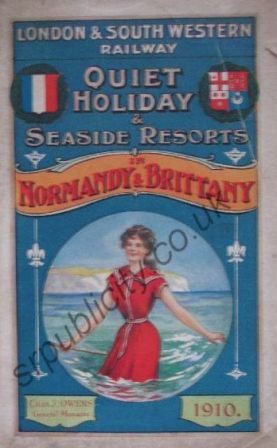 Normandy and Brittany - Pre-Grouping editions and early Southern Railway Hints for Holidays section. 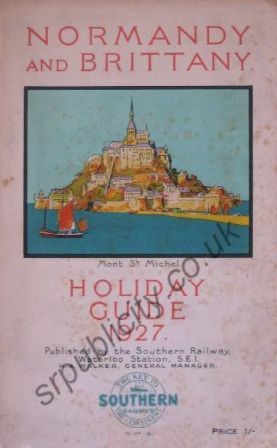 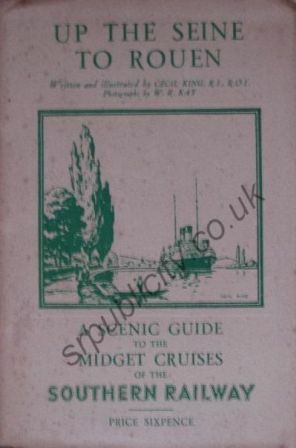 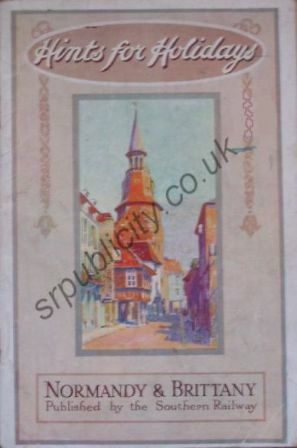 Originally a South Eastern and Chatham Railway produced guide, the first edition being in 1912. 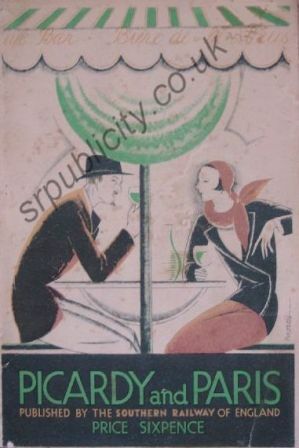 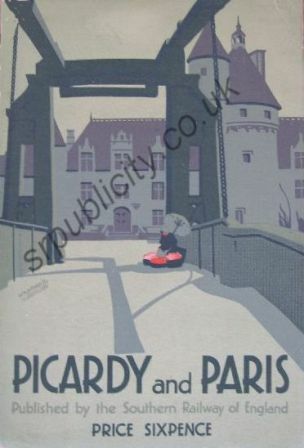 The title was changed to Picardy and Paris from the 16th edition. 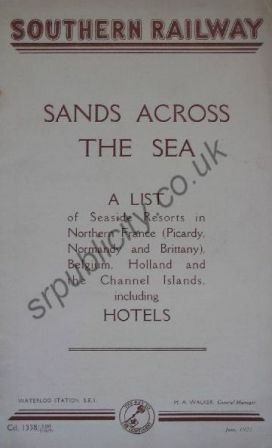 From 1938 the title was incorporated into Sands Across the Sea. 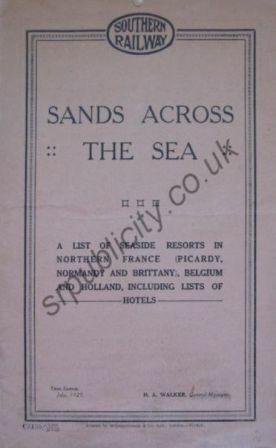 Originally published as a list of seaside resorts in Northern France (Picardy, Normandy and Brittany), Belgium and Holland. 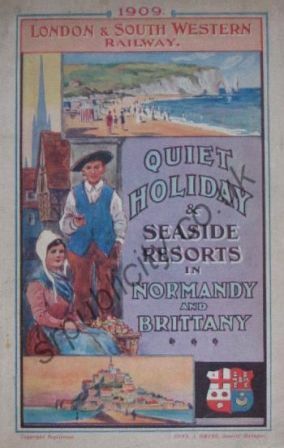 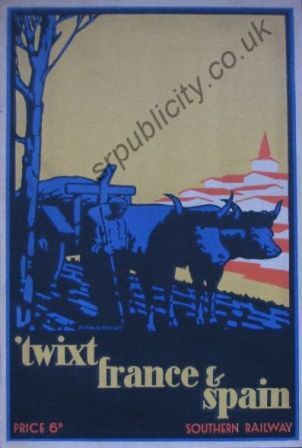 The name was re-used in 1938 to incorporate the titles Picardy and Paris and Normandy and Brittany. 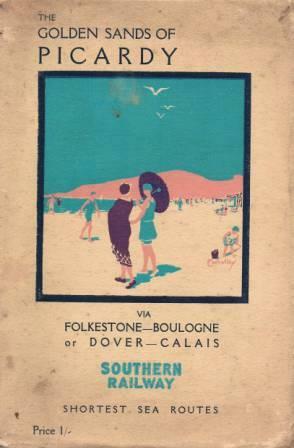 From 1948 this title was published by British Railways, Southern Region annually until 1962. 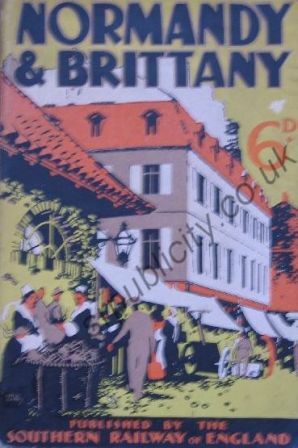 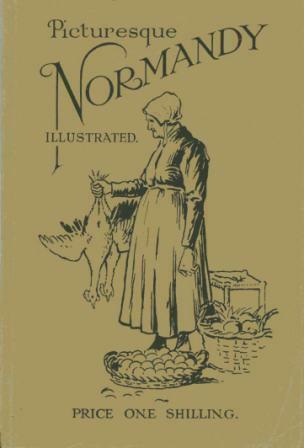 The Dickens Press took over the title and published at least two editions in 1964 and 1966. 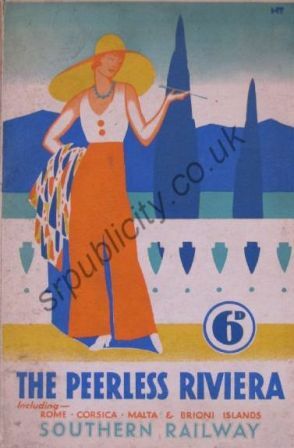 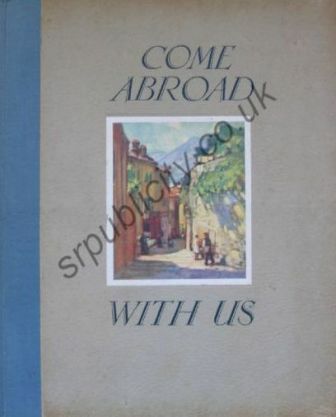 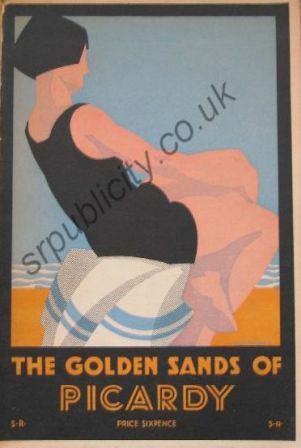 A new publication by the Southern Railway, the first edition being in October 1923, for the ever-increasing number of English people who migrate annually to the Sunny South. 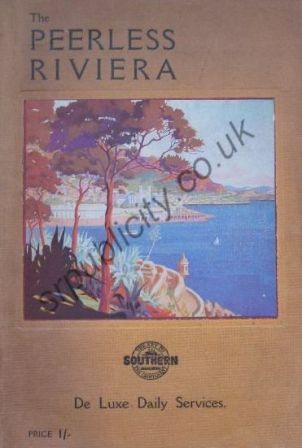 The Sunny South being the Cote d'Azur, Cannes, Monte Carlo etc. 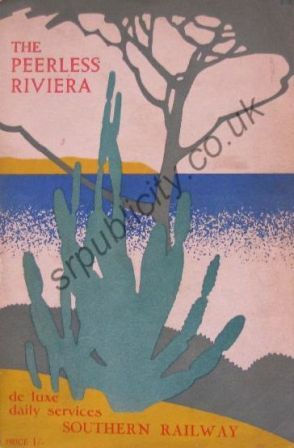 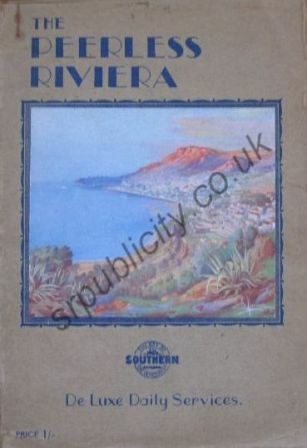 To complement The Peerless Riviera four editions of September Sunshine et al were produced. 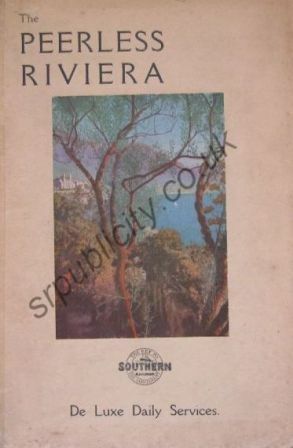 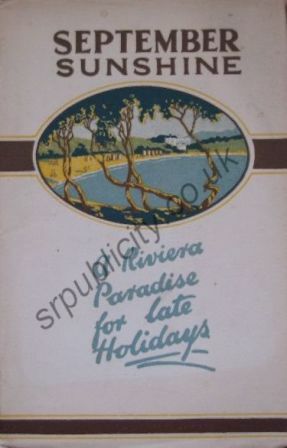 This series contained information on the smaller Riviera resorts. 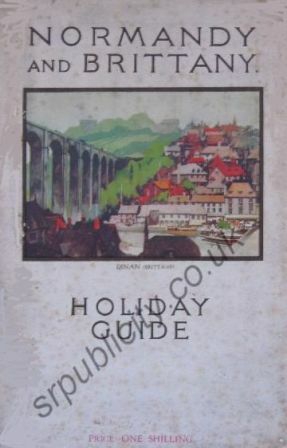 Fare leaflets were produced for use with the above guides.